The new Government’s first Budget will be announced on 17 May. What pressures is it facing? It will be in a pincer between the spending needed to plug the gaping holes in our public services and infrastructure left by the previous Government, and its own Budget Responsibility Rules. These rules restrict its operational spending to roughly 30 percent of GDP. In fact its spending (other than on capital) will be even less. Many existing problems will fester. Even a 30 percent limit will in the longer run require cuts in public services. It has promised not to raise taxes in this term so, even if it raised its spending limit, it would have little more to spend. Neither can it finance spending by holding or increasing debt levels because it has promised to reduce net government debt to 20 percent of GDP – despite debt being very low by international standards, and very low cost. It could for example fund more infrastructure (capital) expenditure from debt. An increasing number of commentators agree. Raising operational spending to 30 percent of GDP would provide an additional $4.2 billion. The cap on spending and debt is leading towards poor policy decisions, like using Public Private Partnerships which are likely to cost more than government borrowing, and “Special Purpose Vehicles” which are an accounting trick to stop debt showing up on government books. This focus on financial outcomes contradicts the Government’s praiseworthy intentions to focus on “wellbeing” in future budgets. It will weigh up economic and financial objectives with the development of people’s skills and knowledge (‘Human Capital’), social cohesion, fairness and culture (‘Social Capital’), and the environment (‘Natural Capital’). 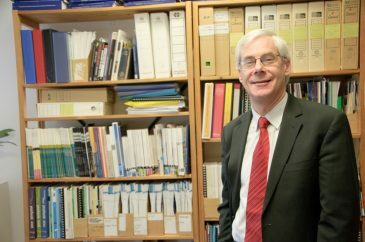 To give an example – if we wanted to return to levels of inequality in New Zealand similar to those in the most equal half of the OECD, a rough estimate, comparing our social protection spending with the more equal OECD countries, is that the government would need to spend around 33 percent of GDP to achieve it. Limiting spending to 30 percent is giving away the opportunity to make New Zealand a more egalitarian country. There are other pressures that will force spending above 30 percent including rising health and superannuation costs. I suggest a path to more balanced policies: budget rules consistent with wellbeing; raising more taxes in a more future-looking tax system; and some interim measures that will give the Government more room to do what is needed. Our society’s wellbeing, seen in compromised or deteriorating social, human and natural capital, justify and demand it.